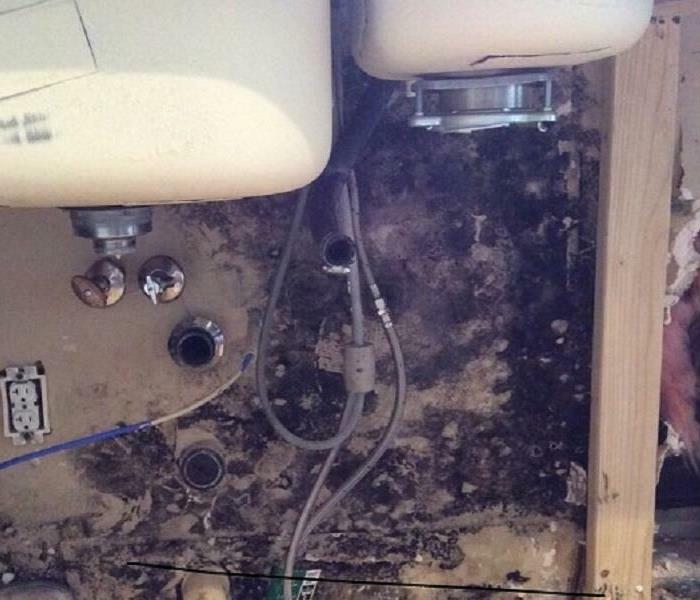 Mold damage is an underappreciated threat in Chandler and its surrounding areas. With higher moisture levels than normal, your property can meet the conditions to facilitate mold growth. Once colonization occurs, this threat can spread quickly throughout the immediate area, affecting many organic construction materials like drywall and wood framing, and also affect the contents of this exposed region of your home or business. With effective solutions for this spreading organism, our IICRC-certified Applied Microbial Remediation Technicians can respond 24/7 to help. From the area Chandler attractions like the Center for Arts or homes throughout smaller townships in our service area like Sun Lakes and Queen Creek, mold growth can pose risks to structural integrity as well as cause or agitate health effects from colony exposure. Removal of the colony and restoration of the damage caused is as simple as reaching out to our qualified SERVPRO of Chandler South AMRTs. We live and work in this community too; we might even be neighbors. As a locally owned and operated business, SERVPRO of Chandler South is close by and ready to help with your mold-damaged property.